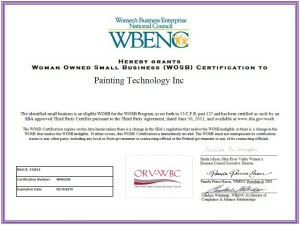 Click the logo or certificate to view and print the full PDF certificate. 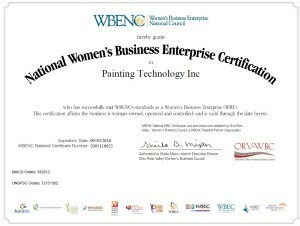 Since 1984, Painting Technology Inc. has provided high quality coating, painting, and finishing services. 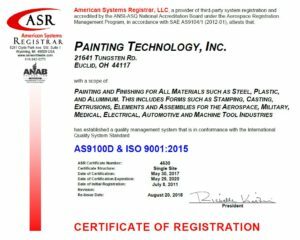 We are AS9100D and ISO 9001:2015 certified. 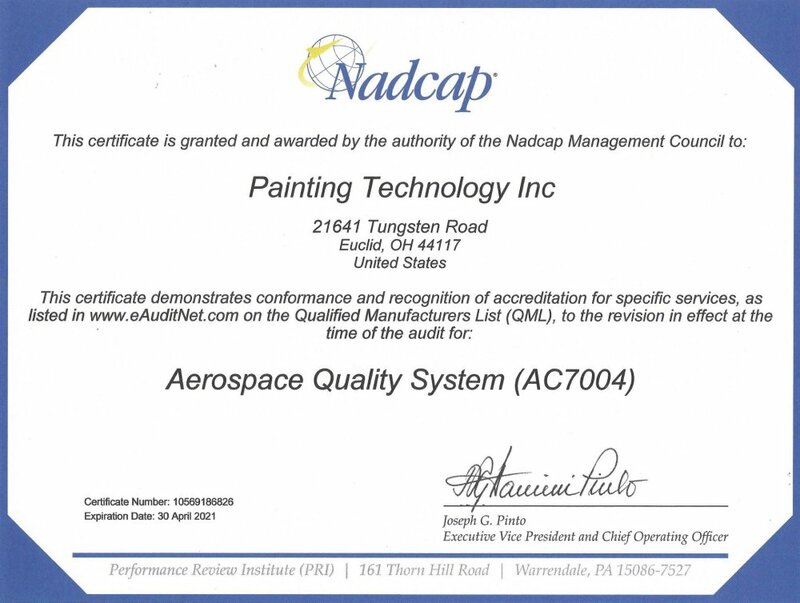 We are also Nadcap Accredited for Aerospace and Chemical Processing. We can meet the requirements of a wide range of MIL-SPECs as well as commercial standards for primers, wash primers, and top coats. We have four painting booths. Two are online conveyor systems. Two are for larger parts and smaller production runs. 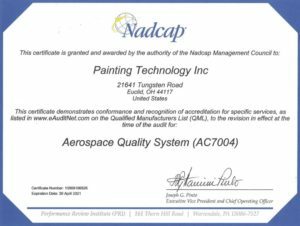 Painting Technology Inc. provides Aerospace and Military coating, painting, and finishing services for a wide range of materials. 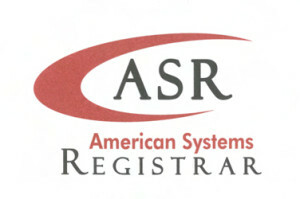 Statistical Quality Control is used to monitor and control the production process. The viscosity of raw materials is monitored by the use of Zahn and Ford Cups. DeFelsko Millage Gauges are used to inspect coating thickness. Coating gloss levels are inspected by the use of Nuovo Lite Gloss Meters. For more information or with any questions that you may have, please fill out the requested information and submit the form. Copyright © 2019 Painting Technology Inc. All rights reserved.